Indigenous and decolonizing perspectives on education have long persisted alongside colonial models of education, yet too often have been subsumed within the fields of multiculturalism, critical race theory, and progressive education. Timely and compelling, Indigenous and Decolonizing Studies in Education features research, theory, and dynamic foundational readings for educators and educational researchers who are looking for possibilities beyond the limits of liberal democratic schooling. 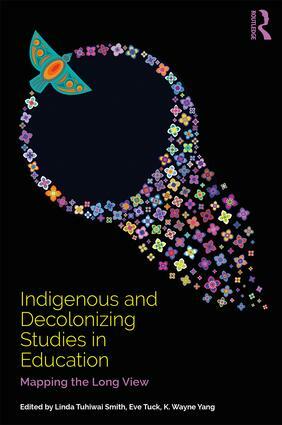 Featuring original chapters by authors at the forefront of theorizing, practice, research, and activism, this volume helps define and imagine the exciting interstices between Indigenous and decolonizing studies and education. Each chapter forwards Indigenous principles - such as Land as literacy and water as life - that are grounded in place-specific efforts of creating Indigenous universities and schools, community organizing and social movements, trans and Two Spirit practices, refusals of state policies, and land-based and water-based pedagogies.